It appears that the FDA is not too happy about this healing potential. This past week, Young Living and doTERRA both received letters from the FDA claiming that their products are being marketed as unapproved drugs. The companies are being told that they have to remove all health claims and take corrective actions or they face serious legal consequences. Considering past FDA threats, these consequences would most likely look like armed federal marshals ransacking their warehouses and seizing all of their products…. The word aroma means fragrance and therapy is a treatment designed to cure through healing touch. Aromatherapy is the total treatment of the face and body via the skin, with the use of essential oils. These are applied in the therapeutic manner of a lymphatic massage. The aim of Aromatherapy is to restore any imbalance of the body. This method of healing is an ancient art of healing and soothing, which utilizes oils extracted from plants, flowers, shrubs, barks and leaves. Essential oils, which are frequently referred to as the soul of the plant or as it’s hormones are usually extracted by distillation. All the essential oils have antibiotic, antiseptic, anti-inflammatory and anti-viral properties to a greater or lesser degree. The oils act slowly – they do not only kill the bacteria or virus, but stimulate the body’s immune system to generate a greater resistance to further attack. When the essential oils are permitted to evaporate into the air, they release an energy as fragrance and this energy is absorbed by the Olfactory nerves via the nose. Blending these essential oils has a required effect, such as calming, stimulating or detoxifying when applied in a specific manner. 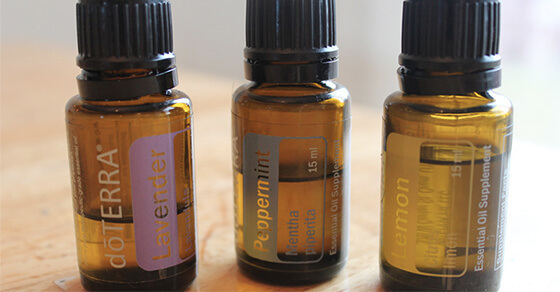 The oils can be applied in several ways – you can add drops to your pillow or a vaporizer. Or simply add drops to your bath or have it massaged into the skin. The drops can also be taken internally under the guidance and instruction of a qualified aromatherapist. Massage plays a very important role and is enjoyable and relaxing. To receive a massage is one of the best ways to relieve stress and tension. Aromatherapy massage is more a lymphatic massage than a muscle massage. And although it incorporates the deep thumb pressure of Shiatsu and Neuromuscular massage, you’ll also experience the soothing effleurage massage of Swedish massage, which will leave you feeling harmonious. One of the most important tasks of an aromatherapist is to stimulate and improve the function of the Lymphatic system. Few people are are familiar with the lymph and how vital it is to energy and health. Lymph is a colourless fluid that flows through the body, along with the blood. Made up of water and waste products, it is absorbed into a map of tiny capillaries that cover the body. These capillaries act like tiny conduits, running into larger vessels, which, in turn, empty into still larger lymphatic glands, or nodes. These filter the lymph as it passes through, purifying it and producing anti-bodies and anti-toxins. Unlike blood which is pumped by the heart, lymph has no natural pump. Our own activity keeps it moving from one part of the body to another. People who suffer from tension and exhaustion and eat a diet high in refined foods, meat and other concentrated proteins may develop blocked lymph nodes, this can cause lymph tissues, like the tonsils to become inflamed and swell, making you feel exhausted and sick. Aromatherapy massage is especially designed to liberate lymph blockages from occurring in the first place. Contact us to book an appointment or to have a blend made up specifically for your ailment.